Drinking alcohol while pregnant can cause a number of preventable problems, the worst of which being Fetal Alcohol Syndrome (FAS). Exposing fetuses to alcohol can result in a number of other disorders, many of which are hidden in the surface affecting the brain. Such problems fall under the fetal alcohol “umbrella” known as Fetal Alcohol Spectrum Disorder (FASD). In the United States, products containing alcohol have labels which caution women who may be pregnant that consuming alcohol may result in birth defects. What’s more, bars are required to post signage which reads the same. Nevertheless, a significant number of pregnant women choose to consume alcohol and many babies are born with preventable disorders. The use of alcohol in Europe is a little bit different than the United States. In many countries people can begin legally using alcohol at younger ages than America’s age requirement of 21. Alcohol is viewed differently than it is viewed here, so it is not surprising that European governments handle alcohol in very different ways. A new assessment suggests that in the United Kingdom, there is an dire need for better prenatal alcohol exposure diagnoses, Science Daily reports. As well as better pathways for diagnosis, assessment and support. Dr Mary Mather, a retired Community Paediatric Consultant and a Trustee of the FASD Trust, points out that UK has conducted very little research on FASD, and the UK is hesitant to accept the views of the rest of the world on the subject, according to the article. "A recent search for the term 'fetal alcohol' in an archive of worldwide medical publications produced more than 14,500 articles. Virtually none of them emanated from the UK and to highlight what is happening here has not been an easy task. This lack of research and definitive guidance in the UK has led to unconsidered and diverse opinions about alcohol, where every professional has a different view and pregnant women are left confused and uncertain." "The UK is the binge drinking capital of Europe and 50% of pregnancies are unplanned; every day that alcohol is ignored or downplayed, more damaged babies are being born. There is an urgent need for action and research. 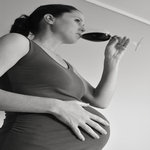 [...] Clear national guidelines about totally avoiding alcohol during pregnancy are essential. [...] Many more diagnostic clinics are needed with doctors with the expertise to run them. Training for midwives, social workers, doctors, foster carers and others in preventing and managing FASD is essential." The assessment was published in the SAGE journal Adoption & Fostering.